DMS maintains a seasoned and experienced team of service technicians. Our sign service technicians are experienced and well trained in all aspects of sign service. There is no service project too complicated for us to handle. We service any sign of any type (interior or exterior). 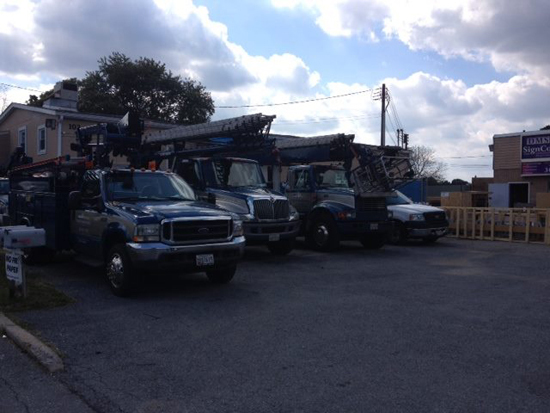 We also service all types of parking lot lights. 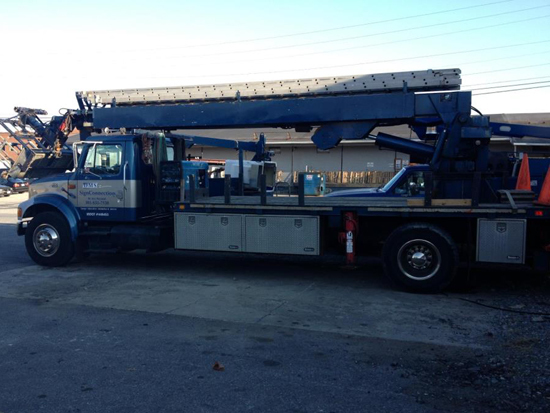 Our service trucks provide service at heights of up to 100′; and they are well stocked with replacement parts and tools that enable us to handle the majority of service calls with one trip, saving you time and money. We service signs whether they were manufactured by DMS or by another company. Non Local Customers: For customers located outside of our geographic area we rely on our vast network of sign service partners located throughout the United States. All signs are serviced in accordance with all local codes and closely monitored by DMS staff. National Account Customers: DMS provides service in Maryland, Virginia, Delaware, and Washington DC for other national sign companies whose customers are located in our geographic area of the country. We work with a large network of national sign companies who rely on DMS to service signs for their customers who have locations in our area. We represent ourselves as the local agent for our sign company partners, and always provide the same level of service we would provide to our direct customers.